The Corner Tri Level Table by Zuo is as functional as it is decorative. Whether you use it for guests to hold their drinks and food or to simply display your favorite pieces. 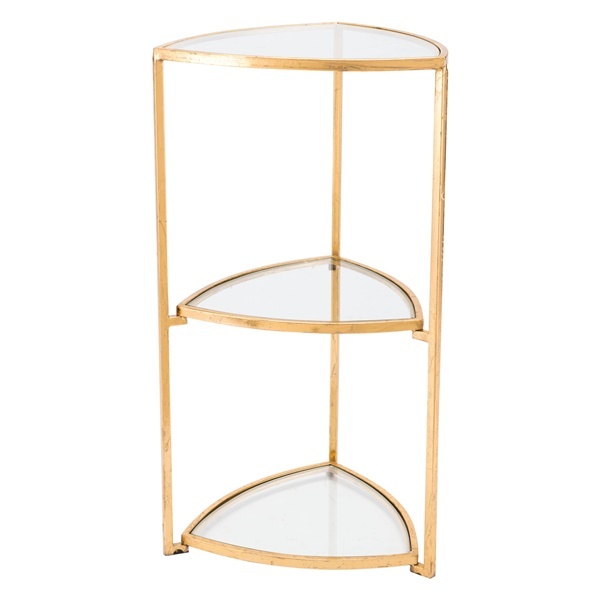 Three glass triangular shelves are supported by a sturdy steel frame and finished in a stunning gold color. It is the perfect piece for small spaces or a bathroom.